Social Cognitive and Affective Neuroscience provides a home for the best human and animal research, using neuroscience techniques to understand the social and emotional aspects of the human mind and human behaviour. Whether it’s being left out of happy hour plans or being broken up with by a significant other, we can all relate to the pain of social rejection. Such “social pain” is consequential, undermining our physical and mental health. But how can we effectively cope with the distressing experience of being left out or ignored? Mindfulness may be an answer. 1. I rush through activities without being really attentive to them. 2. I snack without being aware that I’m eating. 3. I drive places on “automatic pilot” and then wonder why I went there. Supporting the ability of mindfulness to buffer people against the sting of rejection, we found that mindful individuals reported less distress because they were left out of the ball-tossing game. We then looked at brain activity while participants were watching the ball whiz back-and-forth between their partners. During such social rejection, more mindful participants exhibited less activity in a specific part of the brain—the ventrolateral prefrontal cortex, or VLPFC. The VLPFC helps us regulate our feelings in a deliberate manner. For example, it would help us stifle a laugh at a funeral or allow us to interpret a racing heartbeat during a date as a sign that we are excited instead of scared. However, the VLPFC cannot perform these emotion-regulating functions indefinitely. By recruiting less of the VLPFC during rejection, mindful individuals appear to avoid excessively taxing this important regulatory resource. Mindfulness can be described as being “in the moment”—a tendency to direct our attention and awareness to our currently-felt internal and external sensations. So can we reap these distress-reducing benefits for ourselves? It’s still far too early to say that mindfulness is the cure to rejection’s sting. However, if our results are supported by other studies, they point to the potential for mindfulness to help us cope with feeling left out and turned down by others. By focusing our awareness on our present feelings without judging those feelings as inherently negative or positive, we may be able to better cope with rejection. Our study suggests that this beneficial coping strategy may be due to the lower burden that mindful responses to rejection places on the parts of our brain that promote effective emotion-regulation. Featured image credit: Person on mountain by Milan Popovic. CC0 via Unsplash. Alexandra Martelli is a PhD candidate in the Social Psychology program at Virginia Commonwealth University (VCU). She seeks to better understand the effects of mindfulness training on interpersonal relationship functioning as well as the underlying biological mechanisms that help explain the link. David Chester is an Assistant Professor of Psychology at VCU. In his work he studies the psychological and neural mechanisms that promote and constrain aggressive behavior. Naomi Eisenberger is a Professor of Psychology at UCLA. She studies the neural correlates of social rejection and connection as well as how these neural substrates relate to downstream physiological stress responses and health outcomes. Kirk Warren Brown is an Associate Professor of Psychology at Virginia Commonwealth University, where he studies how quality of attention, with a particular emphasis on mindfulness, impacts emotion regulation, behavior regulation, and well-being. 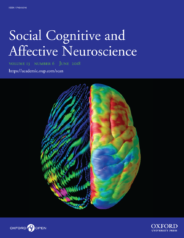 Together, with C. Nathan DeWall, they are the authors of “When less is more: Mindfulness predicts adaptive affective responding to rejection via reduced prefrontal recruitment,” published in Social Cognitive and Affective Neuroscience.